Anything metal you find on your property is generally custom built for the property, and sometimes it’s much easier to repair onsite than remove it for repair. In addition to our metal fabrication shop, we can do mobile welding repairs. In our shop, we fabricate all kinds of new and replacement pieces for properties. Our technicians work with steel, stainless steel, and aluminum. 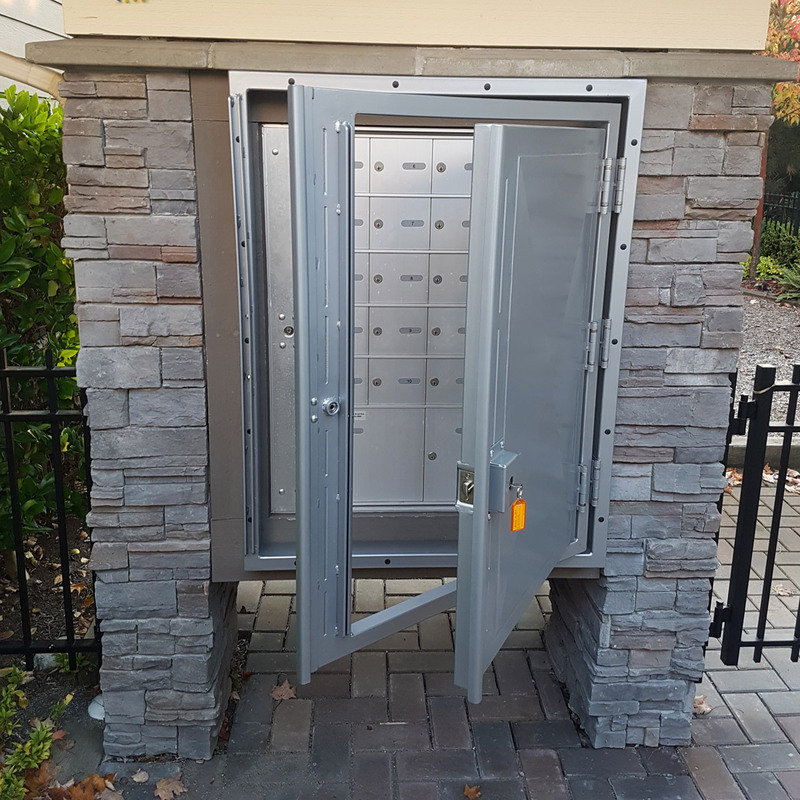 Mailbox break-ins are a big problem at strata complexes and has become a virtual epidemic in some areas. The best solution is a mailbox enclosure. We make them out of steel with perforated steel walls, NRP hinges, interlocking anti-pry astragals, and heavy duty lock guards. Our mailbox enclosures features a door-within-a-door design so your mailboxes are always secure. All tenants have a key to open the enclosure, plus their own individual mailbox key. The other enclosure door features Canada Post’s crown lock so your mail carrier can access and deliver the mail. It’s a proven design that we custom fit and fabricate to your mailboxes. 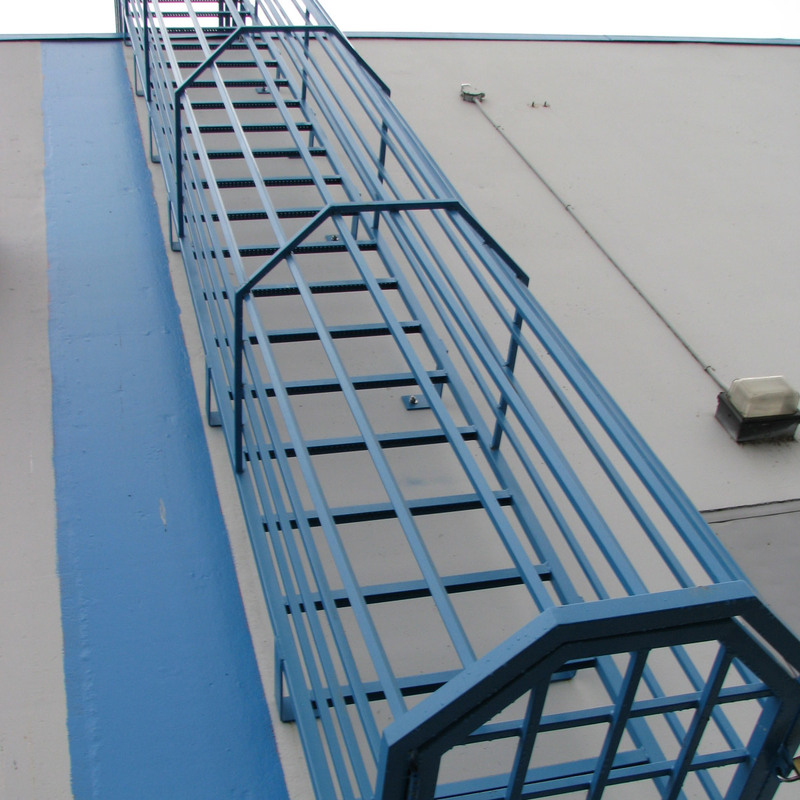 Whether interior or exterior, we fabricate and install roof access ladders that feature secure access and safety cages. Every access ladder is custom built to fit your building while meeting regulatory requirements for safety and security. We will also retrofit or rebuild roof ladders that do not meet current standards such as adding a safety cage or adding railings on the roof edge at the access point. Railings come in all sorts of styles and materials, and every installation is custom designed to fit the space. 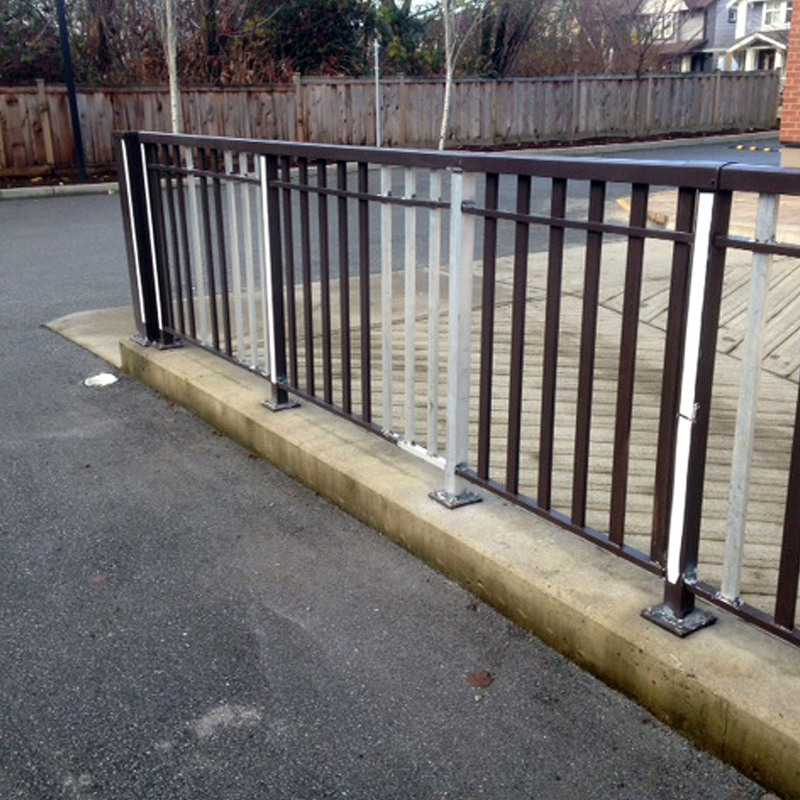 Call us for railing repairs, to add railing anti-skateboard guards, or to build a new railing to protect a specific area. If the concrete footing, stairway, or pony wall is also damaged, we will repair the concrete or fabricate mounting brackets that cover the damaged concrete so your railing is installed securely. Once repaired, we will colour match and touch-up or paint the railing as needed to get it looking like new again. 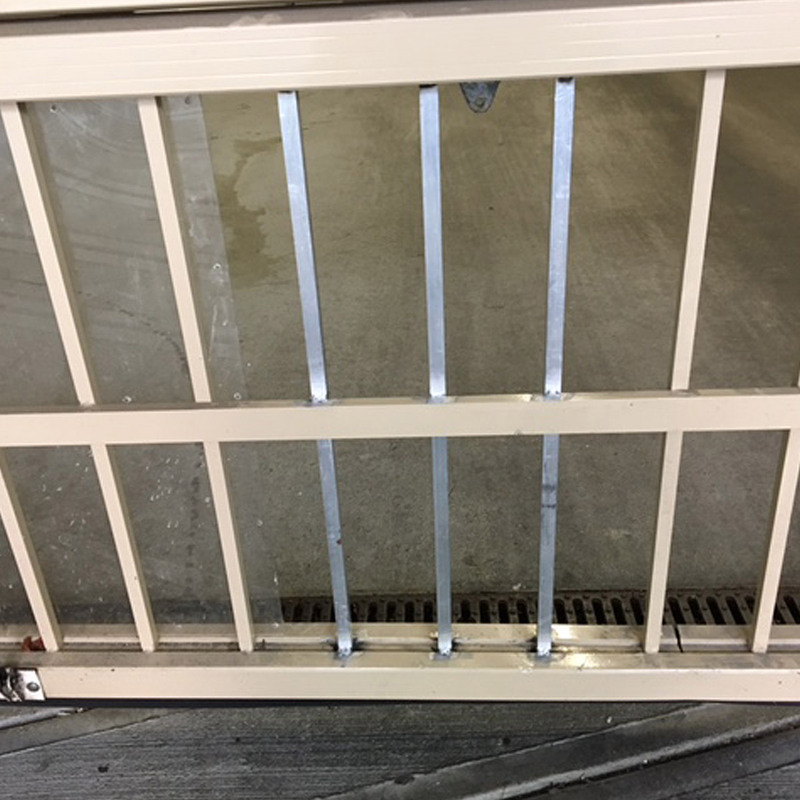 Our mobile welding techs can repair your aluminum overhead garage gates following a vehicle hit or if vandalized due to a break-in. 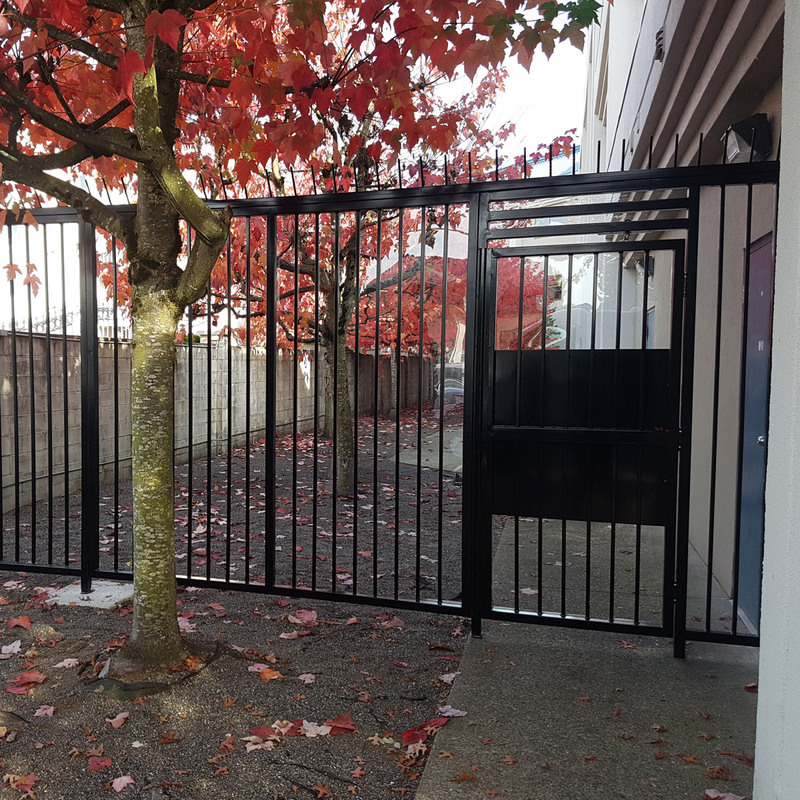 If the gate is badly damaged, we can often straighten it enough to get it running temporarily until a new gate can be ordered and installed. 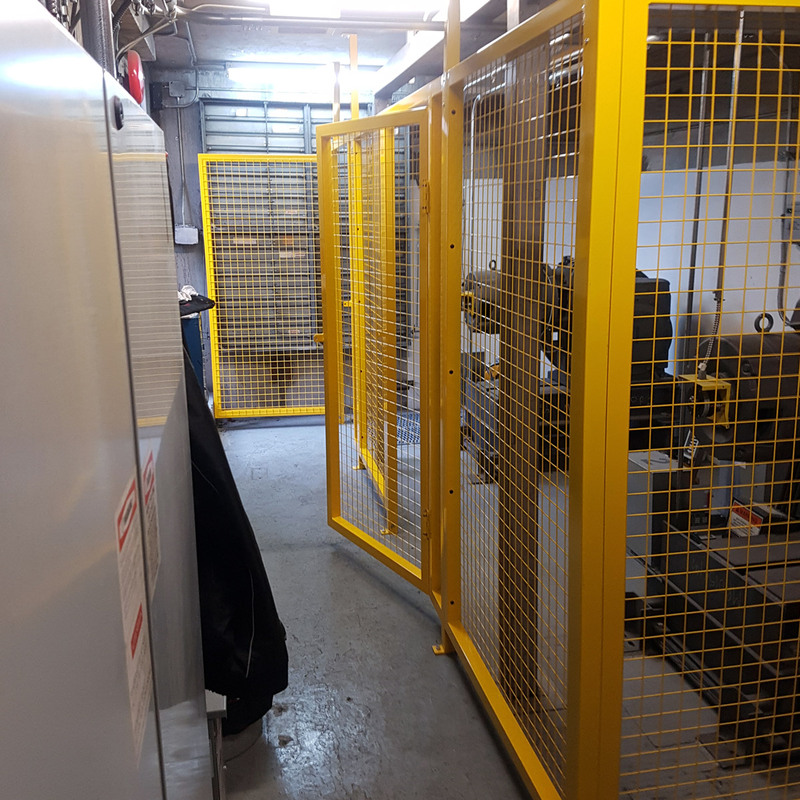 As safety standards for building equipment evolves, so does the need for safety guards and safety enclosures to ensure worker safety around this equipment. 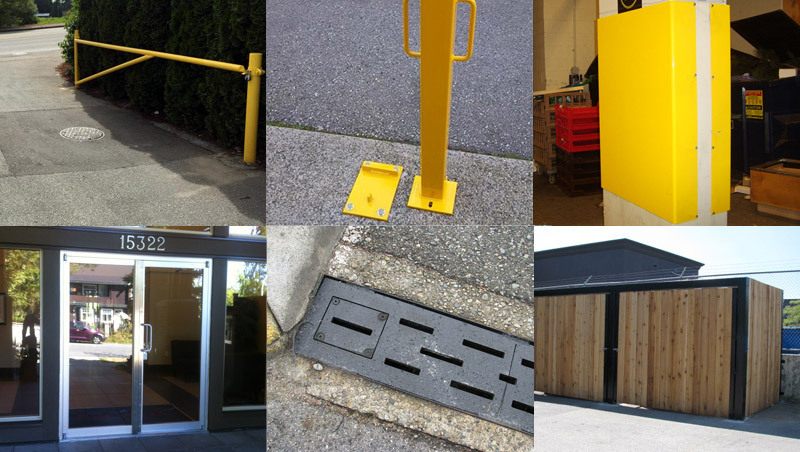 We can help you meet your RiskCheck requirements by fabricating and installing custom guards and enclosures for existing building equipment. In addition to the standard portable MIG welders our service techs carry for smaller repairs, we also have the tools to take care of heavier duty repairs in the field. Thicker steel and heavier installations require more power to burn in a proper weld. 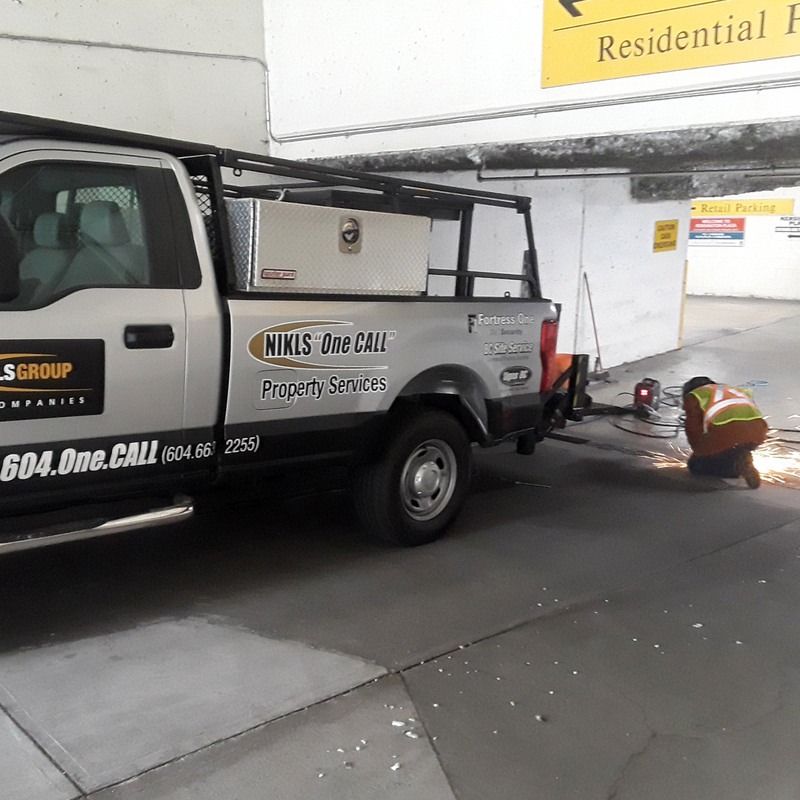 Our Bobcat engine powered 250 Amp welders allow us to perform strong and reliable repairs on thick steel installations where the welds must hold up under significant weight or stress. 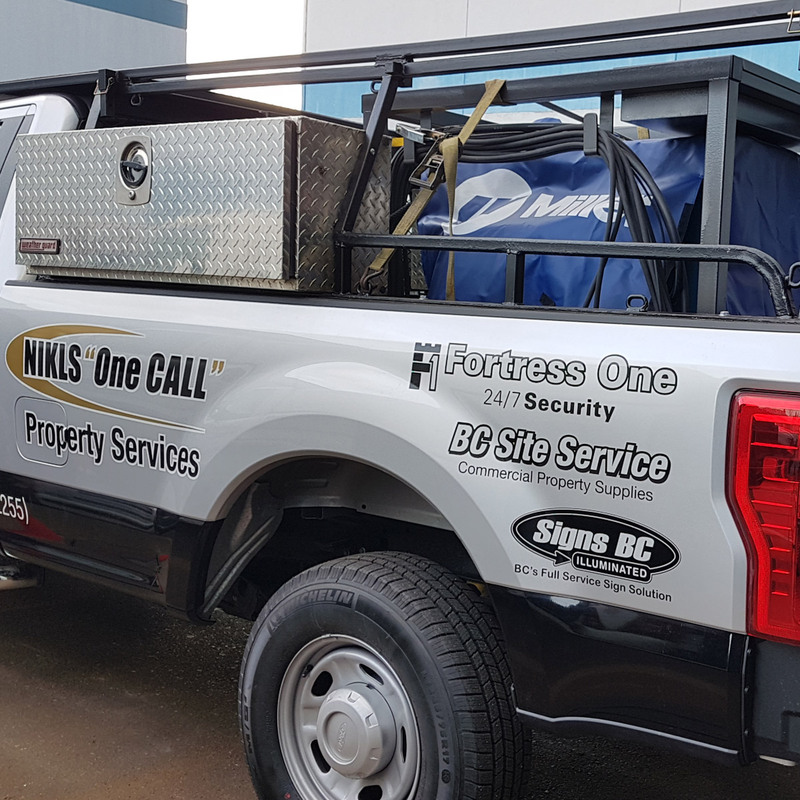 And our welding truck can be deployed to site to make repairs on structures that are too large or impractical to remove and deliver to a shop for repair. Our mobile welding capabilities create a lot of flexibility when it comes to fabrication and installation onsite. It allows us pre-fabricate larger projects in sections in our shop, and then assemble onsite in a way that’s much stronger than “bolt together” designs. Using steel, stainless steel, and aluminum, mobile fabrication and welding allows us to do final fitting onsite to ensure the best results, aesthetically and functionally. Cutting, grinding, welding, prepping, and painting onsite is sometimes the only option, and sometimes it’s just the best option. 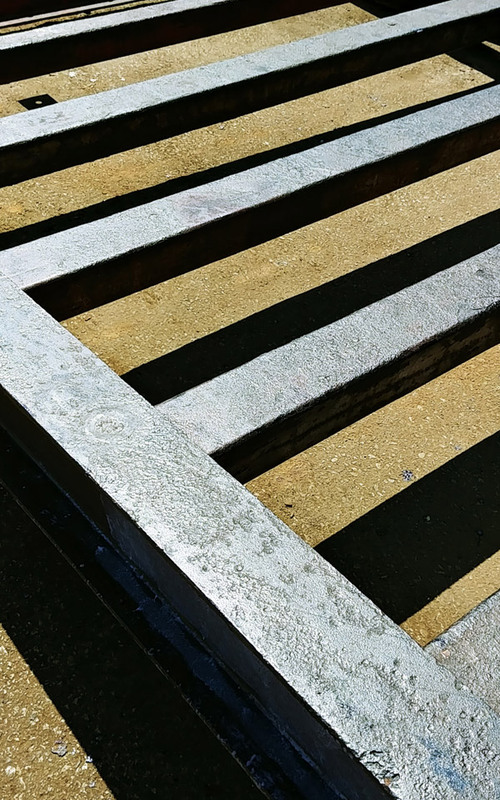 General maintenance of your outdoor steel structures such as stairways and ramps extends their safe operating life. 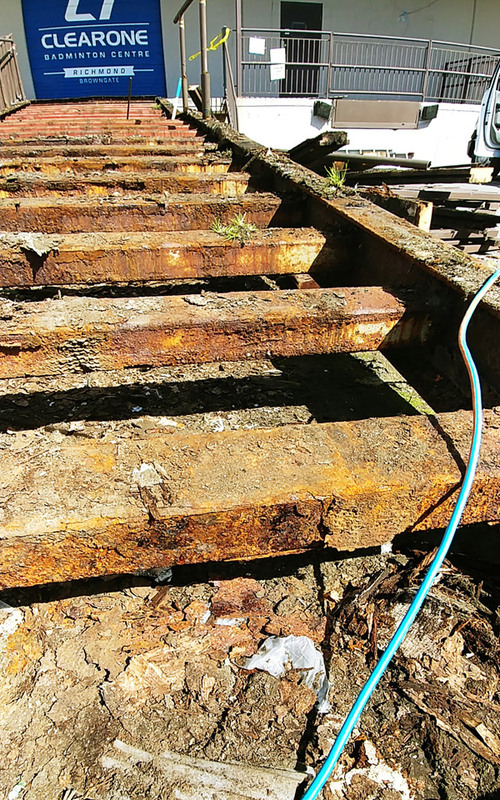 Left unchecked, rust can take hold and destroy the structural integrity of these building amenities. Simply re-painting them is not enough to stop deep rooted rust, and sand blasting installed building features is often cost prohibitive.